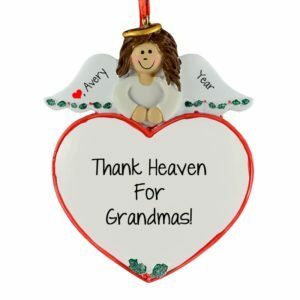 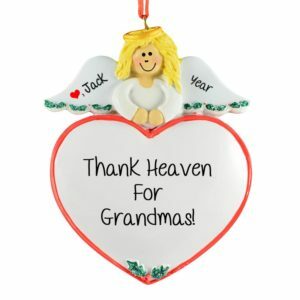 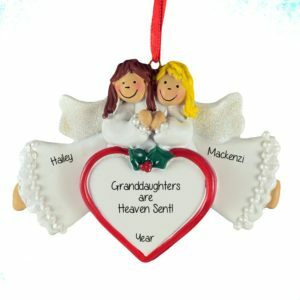 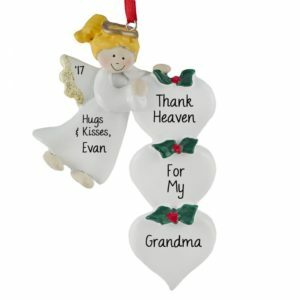 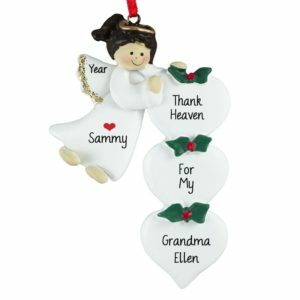 Celebrate life’s special moments with our Grandparent Angel Ornaments! 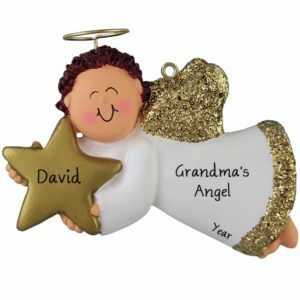 We have received countless emails from grandparents who have told how much they love their special keepsakes that their family members have bought from us. 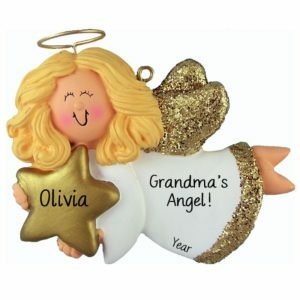 Commemorate the birth of a first grandchild with one of our adorable single angel ornaments. 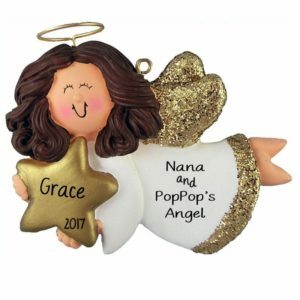 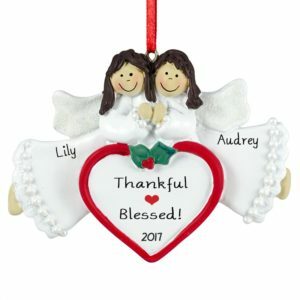 You could choose Grandma & Grandpa’s Little Angel, Our Special Blessing, Granddaughters are Heaven Sent, or ask us to handwrite your very own sentiment. 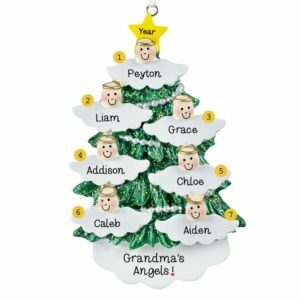 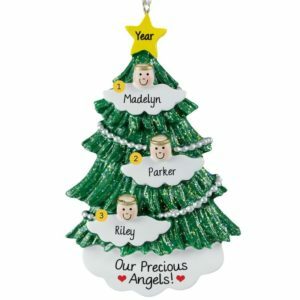 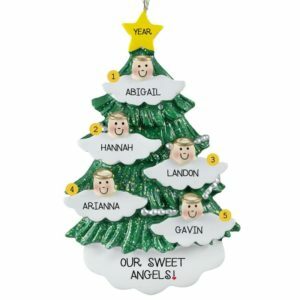 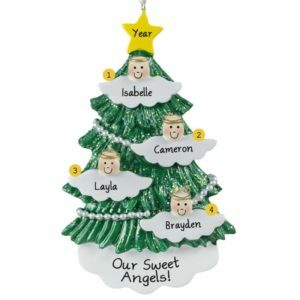 You might choose to include all the grandkids’ names on one of our grandparent angels designed for more names. Whichever you choose, know that you have given a gift that will delight and warm the heart of your special grandparent!